Welcome everyone! Happy Monday!!! I have a mixed media project that I hope inspires you to play and discover the possibilities of the new Ranger Alcohol Pearl inks. I got a set and went to town experimenting on Yupo paper, the results we amazing. The pearls come alive once they hit the paper. I tried out a color palette that works well with each other and is pleasing to the eye. 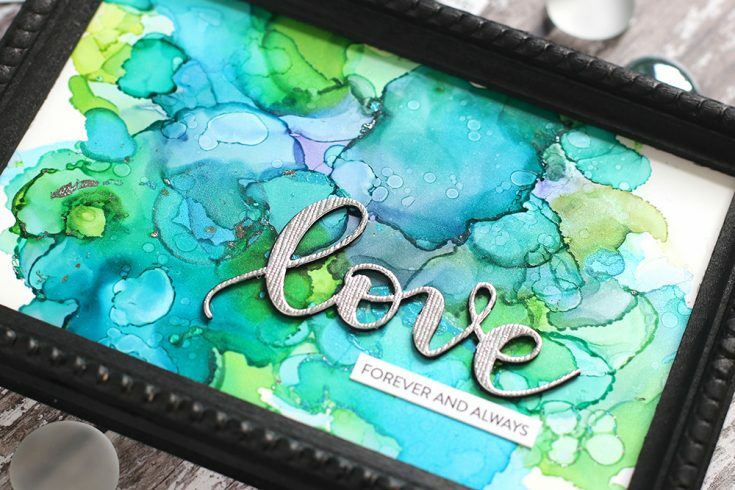 For this project, I used Alcohol Pearl inks in Villainous, Tranquill, Sublime, and Celestial. 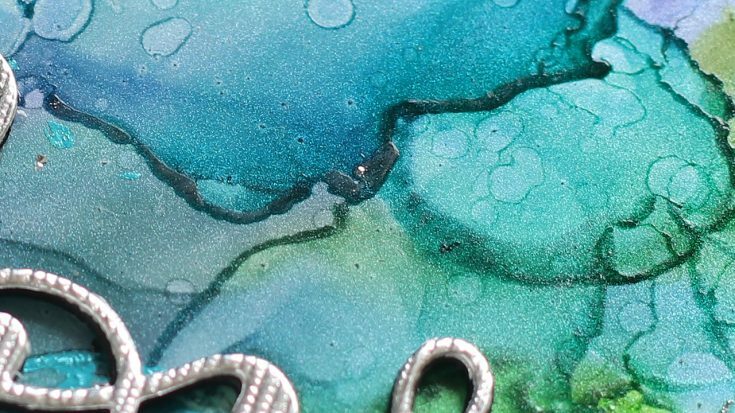 I also used regular Alcohol Inks in Patina and Turquoise. I was able to get the colors to move around on the Yupo using Tim Holtz Blending Solution and a lower temp heat tool. Here’s a close-up to try to capture the gorgeous glimmer. It is even more stunning in real life!! As a note, I was able to get amazing effects on Vellum as well!!! I can’t wait to play some more!! 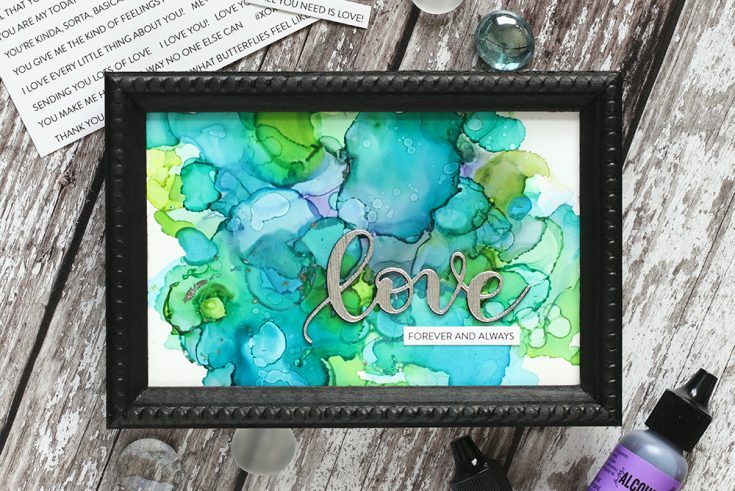 I bet this looks even more gorgeous in real life – I can’t wait to get my hands on those pearl alcohol inks!